​Small business consulting includes aspects of management consulting that are tailored to the needs of small businesses. Management consulting is a broad term that covers all aspects of how a consultant can help an organization improve its performance by analyzing current organizational challenges and developing solutions and strategies to overcome those challenges. Management consultants can focus on marketing, sales, operations, finance, or a combination of factors. The needs of small businesses are unique from those of large organizations. Small businesses do not have the luxury of large budgets, teams of staff members, or endless time to review reports and recommendations. Small businesses need business growth strategies that consider their budget and manpower constraints, and address threats of competition (often from large, big-budget firms). This might include outsourcing tasks such as market reviews, marketing plan development, or website design. Dr Karleen Dudeck is the owner of KJD Freelance. Karleen completed her B.Eng in Engineering Physics at McMaster University and Ph.D. in Materials at the University of Oxford. Karleen is an active volunteer and local business supporter residing in Hamilton, Ontario. 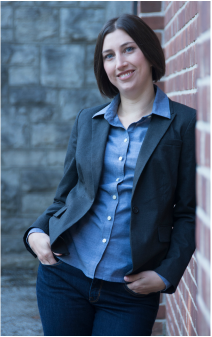 In addition to managing her own business, Karleen is currently pursuing an MBA at McMaster University.